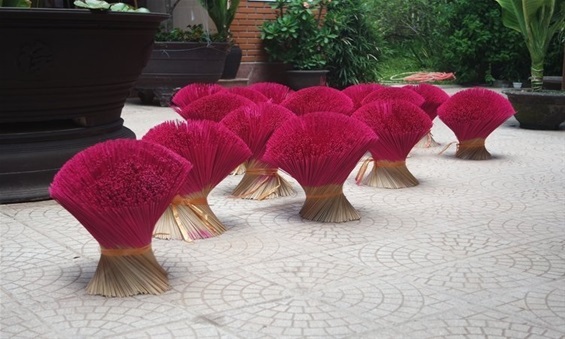 The Peaceful Bamboo Family is a vocational training centre and living community for young adults with special needs that is based in Vietnam. flowful meets… talks with them about their unique family approach that focuses on mindfulness education and social emotional learning, and about their successful manner to promote sustainability. Today, flowful meets… Mr Pham Van Tu and Mr Hai from Tịnh Trúc Gia/Eurasia/ELI, TTG is short for Tịnh Trúc Gia aka The Peaceful Bamboo Family. 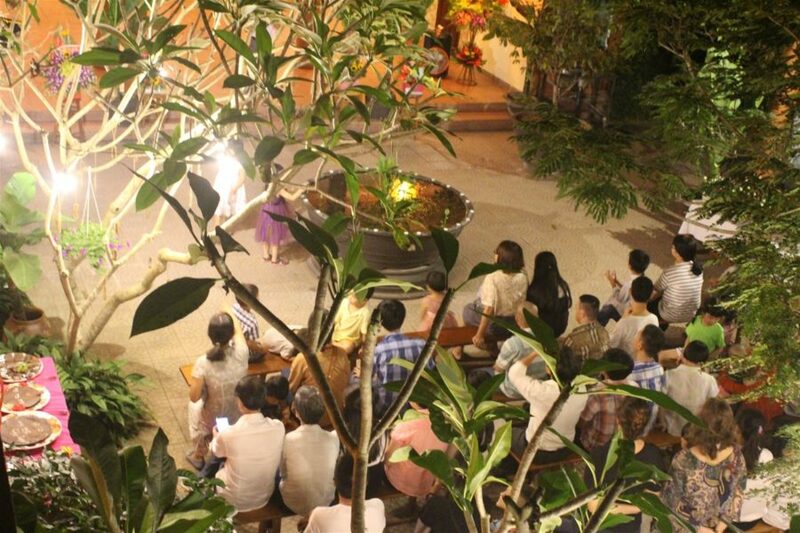 TTG is a vocational training centre and living community for young adults living with disabilities based in Vietnam. TTG is just one section of the amazing work of Eurasia Foundation and Association. They do heaps of awesome stuff; they run an inclusive Waldorfkindergarten, they offer special education courses in Vietnam and they created the Eurasia Learning Institute to share their skills and experiences not only in Vietnam but also abroad. TTG was founded pretty much 10 years ago and is now the home of 57 youngsters and adults with mental disabilities. When we visited The Peaceful Bamboo Family we’ve been stunned by the spirit of the place. Not far away from Hue’s busy city centre, TTG is truly a paradise with spacious and open buildings and a super impressive bio-dynamic garden. The place is peaceful and vibrant at the same time and its residents welcomed us as warmly like if we were family members. Peaceful Bamboo Family: We put into operation this centre from the year 2009. And the purpose, the aim is to welcome the people with mental disabilities. And the adolescent from the age of 14 years above they can have a place to life to learn and work together. We started quite early. You can say Eurasia started in 1992 and from there we supported many projects around Vietnam. But TTG, the Peaceful Bamboo Family is the heart of Eurasia. A lot of the residents are children of people who were exposed to Agent Orange, a herbicide and defoliant chemical that was used by the US military during the war 50 years ago. Peaceful Bamboo Family: And when we created this centre, we created vocational training workshop yes for this kind of people so they can learn and we have a good treatment, a good therapy for them to the social work. It means that they can produce the products by the same time they can also develop themselves to the meaningful job. At that time we started jam workshop, and the garden, a piece of garden and the art work shop where we make lacquer painting. At TTG, each resident gets vocational training to enable them to become as independent as possible. In various vocational training workshops the residents make lacquerware and paintings, jam and juices or incense sticks. The products are then sold in the recently opened teahouse. Community life plays a central role in the therapeutic project of the center. It is the family lifestyle and the friendly atmosphere that ensures the integration and development of each resident and makes TTG such a sustainable project.But TTG aims for more. Peaceful Bamboo Family:We also want to get the income for ourselves to do that we also need everything to be perfect. We do have now a good product, we have the long-term biodynamic gardening and now we have a beautiful garden, we have vegetables for our family and can share with others and we develop pretty well about that. And then we try to keep the good environment in our community, in our place, and we want to share that to the other people who want to do the same as we. Yes we see, we want to give sustainability for our centre, we also want to share knowledge to the other and by the same time we want to share knowledge to the other like with different workshop and for the last year we did an exhibition in Ho Chi Minh City and by the same time we gave a workshop to share our experience to the participants and soon in this year we also do another exhibition in Hanoi in the North of Vietnam and by the same time we can do some workshop there to bring our knowledge and share our story to the other people. As I said, Peaceful Bamboo Family is the heart, it is a practical centre and we live in that. So, we, ELI, we bring the knowledge, the experience, what we are doing to the people but we want them to come to TTG to learn about, to live about and to see it is not only theory. It is a living you can feel when you arrive here. Indeed, we experienced a feeling of caring, of peacefulness and understanding. We experienced the youngsters having fun in the workshops and we sensed the family life during a joint lunch. Which, btw, was super delicious and I finally got to try my very first stinky tofu and loved it. But that’s another story. Mindfulness and compassions indeed is a daily practice at TTG. Peaceful Bamboo Family: We started with the practice with the youngsters but we use the mindfulness education so we try to work with the youngster and we realize how the youngster improved and then from that we believe that it could be transformed for everyone. From the youngster, we see how difficult [it is in the beginning] but then they improve and they become very beautiful, I mean in a way of transformation, and we believe that we also could transfer and that’s how we get ideas and this is how we practice for the whole community. We have different practices. I mean, happiness skills we could learn. So we could learn, we could train, and we have different practices. For example walking in silence, considered meditation, we do also the sitting mediation, we also have a sharing from the heart, we also listening the bell, we have mindfulness dinner. So all of that we try to work with the youngsters first. Thursday, today, is a special day, it is the loving day and practice day, so we have the mindful dinner; 20 minutes eating in silence. This is we practice for to say thank you to all the conditions and saying thank you to many people who support the community. Also, that is the chance our youngster can offer the peace energy to outside. Even you could not see them but we could feel it, we could change. And this is how to be grateful makes it more beautiful. Then we have 5 or 10 minutes sitting in silence like, we practice to come back to ourselves before we are sharing from the heart. This is when we give the space for everyone to have a voice to share how we feel during the week and also have the time to share and being together with everyone. This is helpful a lot for us and this also to see how the youngsters improved. They can speak, they are happy, or even something make them feel unhappy it is also free to share and before most of the teacher have to speak most of the youngster speak. You see, when we give this name to the place, Peaceful Bamboo Family, so we wanted to create a family and everyone to live together as a member in a family. We have the people who are the educators, teacher and we can say that we consider the youngster as our younger brothers and sisters and we even have some old people. We call them mother and father of the house and the family. In the community life we created a very meaningful and spiritual life. And then we see how magical it is because they develop quite well by sharing their interior feelings from themselves and it helps them a lot. Practicing mindfulness in education and social emotional learning makes a huge impact on the community life and even more on the residents’ personal development. Peaceful Bamboo Family: Yes, you see from the beginning, as I said that the society and the family they think they are useless but when they life here they can take care about their own life very well. The youngsters here are very good. They really love their life and then they love their house and then they are taking care of themselves very well. They develop in a lot of things; like they can take care of their daily life, they can take a shower, and clean their place, and then they can wake up in time. And especially when we have the performances. Some of them are very good in yoga or in making circus. Or even they can give other help to the other people. And we see that they are also a good image for the normal people; they can learn through them. Because they can say very frankly to the other what they need what they wish. Not only we give them a good education but also we learn through them. Happiness is a skill that can be learned, so says Tho Ha Vinh, the founder of Eurasia Foundation and Association, who spent 6 years as the Programme Director of the Gross National Happiness Centre in Bhutan. The concept of Gross National Happiness is something that is closely related to TTG’s organizational culture. 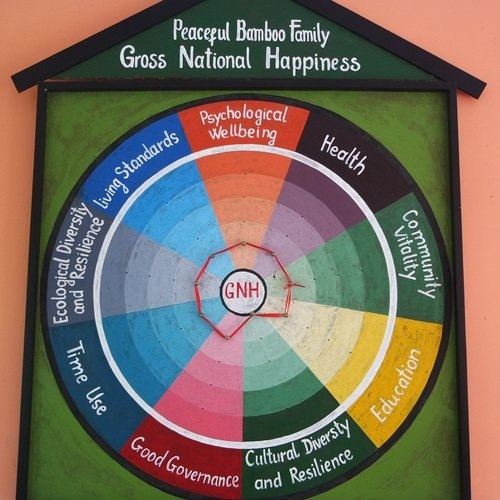 Peaceful Bamboo Family:We, ELI and TTG, The Peaceful Bamboo Family is a partner of the Gross National Happiness Centre in Bhutan. We signed officially this year. So and we have a different programs from the kindergarten up to the USD and to the people who come to TTG to learn about Gross National Happiness, about education, about mindfulness, about biodynamic gardening. It is also because we believe that nowadays people are disconnected with themselves, with others and with nature. So with all our programs of ELI and TTG is helping people to reconnect self, others and nature. The community started before the GNH, before we knew about GNH and we realised when we learned about GNH with the 9 domains and we saw that the direction board team feel like oh, we live in a GNH. Here in the community we have, we create a good environment for the people to improve themselves to see what they want to become, what they need to learn more, we also give the space and also give ideas for them to stay. But also look at the youngsters; they have good conditions to live, to learn and also to be happy with all the activities. That is something about education. But we have a different questions for that and each domain. We ask the whole community and we work on that and then we have the board and we try to do it every six month again and again to check how it is improved or if something goes wrong. Than we have to make to sure that we have to look at this point or what we need to improve, what we want to keep. So that’s the idea. But even not many people could understand all about the theory of GNH it does not matter, because we want to practice and live. That is why we think the happiness skill is very important. And the happiness skill, like practice as I mentioned how we live together, how we practice meditation together that is the base, the foundation for the GNH living. 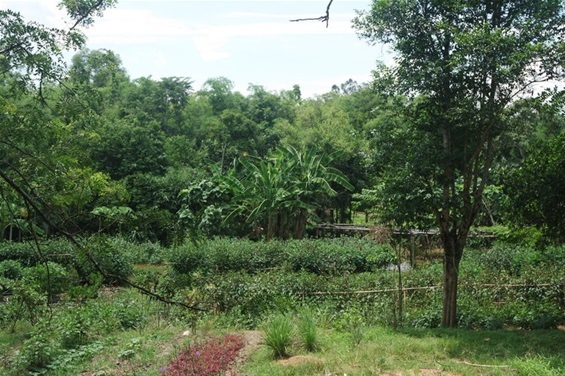 If you ever happen to be in Hue there’s one more reason to go visit The Peaceful Bamboo Family: The vivid bio-dynamic garden where the residents cultivate their vegetables, fruits and medicinal herbs. For TTG, the garden is not just a piece of land that produces their food. It is their way to give back some love to Mother Earth and reconnect with nature, both educators and residents. Peaceful Bamboo Family: I mean it is very hard work from the beginning; we could not grow any plant. It took very long and we have not enough vegetable for the whole community when we started the garden. But it is really tough for the gardener that we could not grow in the garden; it was very difficult for us. As you see the quality of the soil, there were lots of stones and you have to take it out. In biodynamic gardening we put ourselves together with all the species, with the earth. We believe that when we enrich the earth and respect the nature with the animals and insects in the circle, the earth and the nature will give us more and more the vegetable. 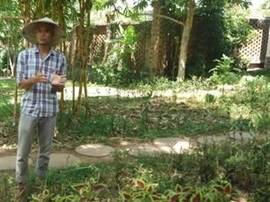 Now it’s already 8 years of gardening and we are happy that we have enough vegetables for the community and some we can sell to our close friend and now we also hope that we can organize the course to show people how it is working from the very poor quality of the soil to the now better quality. We organize a course for the people who really care about the organic, the biodynamic and protecting the nature to our garden to learn. This is also something that can support to the community. We see that our plants are developing quite well and we have safe vegetables. We create especially the work for the youngster; it is a good place for the people with severe disability like autism to work there. And people that have strong anger can work there. It is really a good therapy for them. But TTG also had to face many difficulties in the last years. 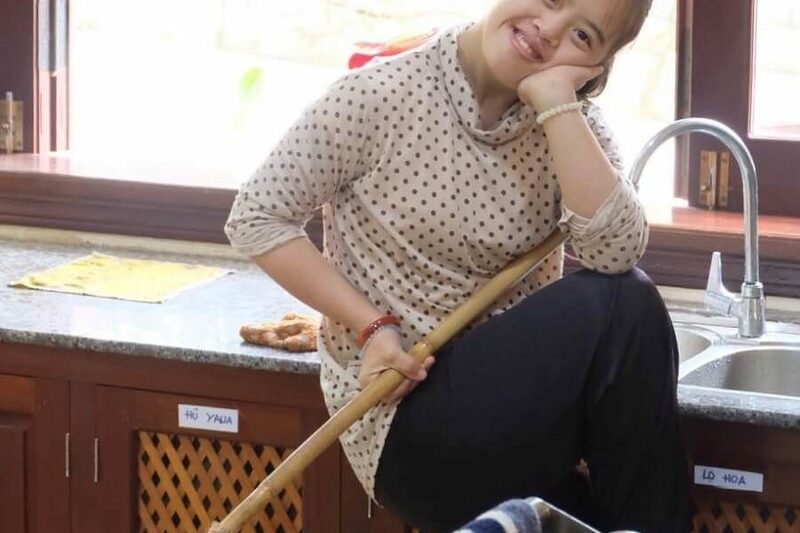 Special education is not very common in Vietnam; thus, it is hard to find well-trained workers that are willing to commit for longer to make sure that the family-like structure is given. Furthermore, TTG is in great demand which also means financial support is needed even though they are long-term sponsored by Eurasia Foundation. Trying to become financially independent, they started to sell their own handmade products. Last year they organized a cycling fundraising tour from Hue to Ho Chi Minh City to spread TTG’s story in Vietnam, share experiences and raise funds for future projects. When we met Hai who did the tour he was already pretty excited. Peaceful Bamboo Family: The cycling tour is one part of the project of Eurasia to do fundraising for Eurasia. But this is going directly for TTG because this is sponsored. We hope that it can cover some part of the running costs. We hope that this is not only about the fundraising for the community but also for this thing that we want to connect with the people who work for organic farming or social worker to bring the people together and share the story of community with the people out there. That we try our best to make a good place to live and the place that protects the nature, the Mother Earth and also with the community living. With all the value of the Vietnamese culture together with the camphill movement and the GNH values that we are working on and we are implementing. So hopefully many people will put their hands together to make it happen. And they did. TTG raised enough money to finally setup a long planned solar panel to make TTG even more sustainable! Let’s think about their theory of change. Besides creating a living community with a mindful environment where people with disabilities come first, TTG aims to bring special education and social therapy to the public. Furthermore, they want to spread their knowledge and experiences in Vietnam and cross-border. Moreover, TTG is very involved in compassion and sustainability and aims to promote the reconnection with oneself and nature. In Vietnam, there’s still a limited understanding for special education, or let’s say people with special needs in general. Often people with disabilities are overlooked or not taken seriously as there are just not enough people with experience in this field. With TTG being a living community they created a best practice model. Their holistic concept unifies the special needs of the residents with a mindful environment, education, vocational training, spirituality and nature. Since the very beginning, Eurasia Foundation conducts training courses focusing on special education, ecology, bio dynamic farming, as well as mindfulness and ethics. In 2015, they created ELI, the Eurasia Learning Institute to share and spread their knowledge even further. We got so much inspiration from Mr Pham, Mr Hai, and TTG as a whole. Thanks so much for having us guys! We’re sure we’ll see each other again. You can find all links in the show notes below and on the website www.flowful.org. Music is by beautiful soul Andrew Healy. Thanks for listening! Be flowful!